and different gods are worshipped in each one. The most numerous shrine is “Hachimangu ”. When we visit, there are always so many pigeons there. they have watched over children affectionately as they grow up strong and healthy. 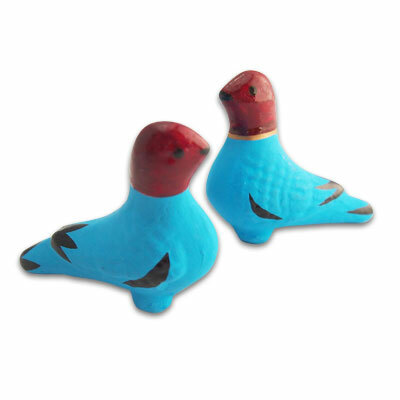 We can get these little clay pigeons at Miyake Hachimangu in Kyoto.